To ensure she spends more time fireside than she does in the kitchen, Chef Trevor Eliason offers his suggestions for easy 30-minute (or less) appetizers that pair beautifully with Nickel & Nickel’s Single Vineyard Chardonnays from the Russian River and Napa Valleys. Burrata and Heirloom Tomato Bruschetta + Nickel & Nickel Stiling Vineyard Chardonnay. Whether you daydream about classic Brandywines, geek out over tangy Northern Lights or prize the hearty Cherokee purple as the perfect slicing tomato, tomato season is hitting its stride, making it the ideal time to indulge your heirloom obsessions. We love to toss just-picked varieties with olive oil, sea salt and cracked pepper. We let the flavors marry for half an hour before spooning fragrant, “sweating” heaps of them over creamy burrata on toasted baguette. Top with fresh basil. Prosciutto-wrapped Marinated Galia Melon + Nickel & Nickel Medina Vineyard Chardonnay. Exactly what should you use as a marinade? There are a variety of options, however, Chef Trevor favors simplicity, with nice olive oil, balsamic vinegar, salt and pepper. “Just a hint of fennel pollen really elevates it, but isn’t required,” he says. Smoked Salmon Rillettes + Nickel & Nickel Truchard Vineyard Chardonnay. Technically, this takes longer than 30 minutes, but the fragrant smoky-fish and butter flavors of really good salmon rillettes are the ultimate Friday night showstopper, especially when paired alongside whites on the creamier, more textured side. The good news, one of our favorite versions, here, can be prepared up to three days in advance. Drink some wine. Talk with friends. 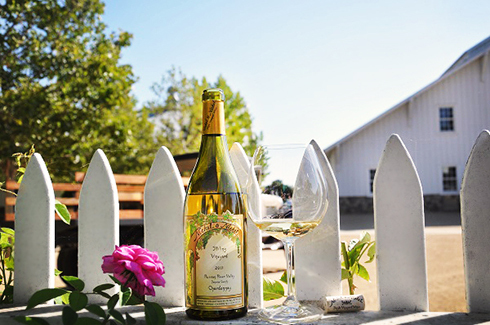 Throw some fresh summer corn on the grill, which, BTW, always tastes great with all three of our Nickel & Nickel Chardonnays. 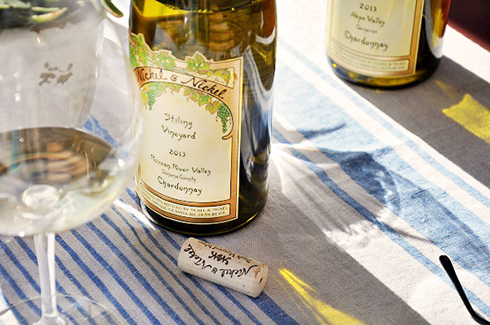 Discover more recipes that pair beautifully with our Single-Vineyard Whites, and make this your #BestChardonnay summer ever.